Last week I went walking in the woods (though owing to my rather short stature, I didn’t walk to the woods but was carried there in a bag). 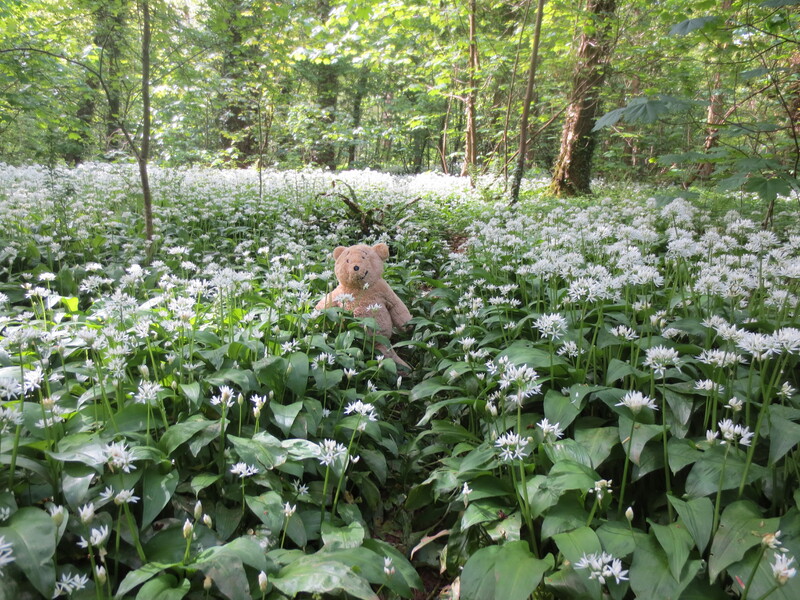 I was amazed at the beauty of the spring flowers, especially the wild garlic, which was growing in carpets all over the woodland floor. 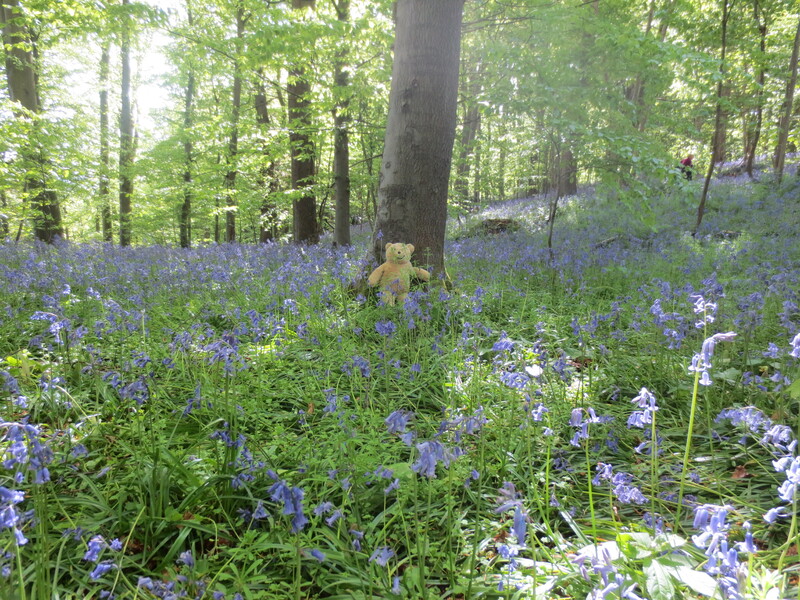 It was quite a warm day for a furry bear, though the woods are shaded, I think the colours of the flowers added to the feeling of being somewhere cool, especially the bluebells. I didn’t find any large groups of teddy bears having picnics there though, in fact I didn’t see any other bears. I will be going again as would like to see how the wood changes throughout the seasons, so I hope to be taken again in August. 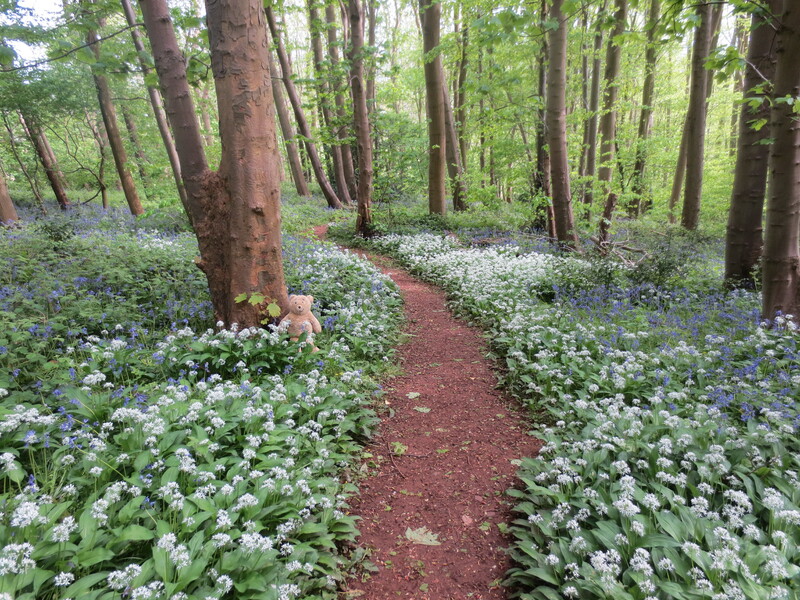 This entry was posted in Uncategorized and tagged alresford bear, bluebells, spring, wild garlic, woods by karenlovestodance. Bookmark the permalink.